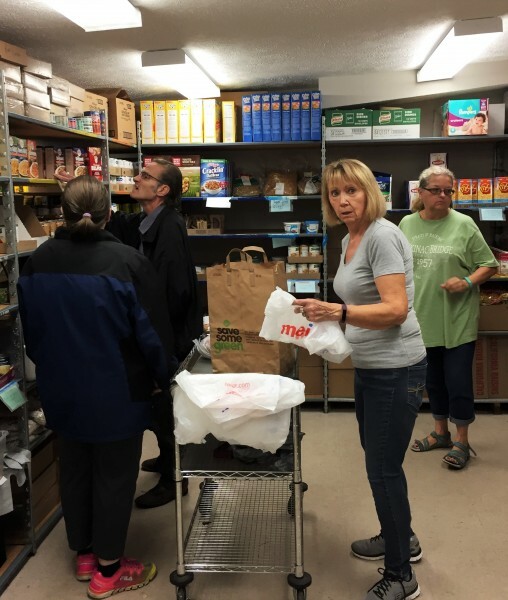 Staff and clients help each other at Trinity Reformed Church's Northwest Food Pantry. Waverly Knight understands what it’s like to be hungry. In 2007, Waverly lost her job. Single, lonely in her apartment and trying to find a job, she began to wonder about volunteering with her West Side church, Trinity Reformed. 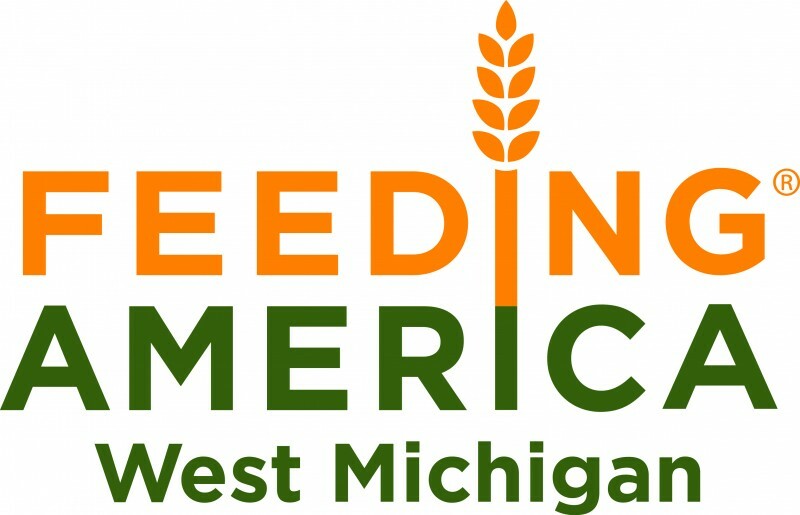 When she learned about an opportunity with their ministry, the Northwest Food Pantry, one of Feeding America of West Michigan’s hunger-relief agencies, she signed up. While she planned to only stay until she found other employment, Waverly’s love for helping others through the pantry grew. Before long, she found herself co-director of the ministry. Clients of the pantry are allowed to visit once a month and fill a cart with food to support themselves and their families. Many of them are working but aren’t earning enough to cover all their expenses. “There’s so many families out there where minimum wage doesn’t cut it,” she said. Roberto is on a small income of a different sort, a fixed disability payment for his injured back. He’s not just a client of the pantry but a volunteer as well. Being involved with the pantry has enriched his life, he said. His wife and three young granddaughters get enough to eat, and he has the opportunity to help others in his community. When cooking, he makes sure there are leftovers to feed others, whether his family the next day or kids in his neighborhood. “Sometimes, spaghetti’s better the second time over,” he joked. Roberto loves being in the kitchen. Sometimes, he even lets his granddaughters help him cook. His heart for serving others is noticeable as he stocks the pantry’s shelves, directs clients and packs boxes. 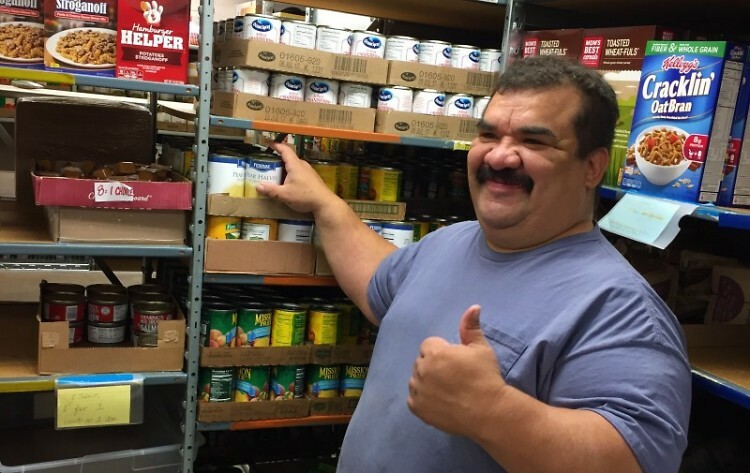 Not only does he help the pantry, but the pantry provides him an opportunity to get out of the house and work through his depression. Becky discovered Northwest Food Pantry by calling the United Way’s 2-1-1 hotline. For her, a new place to live plus car payments on a ‘96 Dodge Stratus plus caring for two teenagers equals not much left over for groceries. Each month, she comes to pick out and bring home a cart of food for her boyfriend, niece and nephew who live with her. Becky and her boyfriend face a common dilemma: They earn too much money to qualify for food assistance but not enough to meet their needs. “It’s like being stuck between a rock and a hard place,” she said. 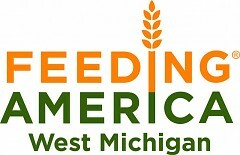 The variety of food found at Northwest Food Pantry is possible through its partnership with Feeding America West Michigan and donations from businesses including Meijer, Aldi, Panera, D&W, Arnie’s and even Olive Garden. Thanks to people like Waverly and Roberto and local agencies like the Northwest Food Pantry, nobody needs to.